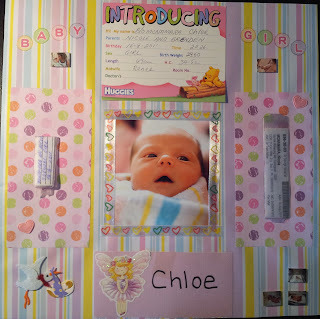 Crafts For Chloe & Jayce: Double Yay! One yay for Friday and one yay for the first of the month. Today, not only do kids pinch and punch but the scrapping blog-a-verse erupts in a frenzy of inspiration and chances to win. I look forward to playing with all the sketch challenges. Do you know of a good blog or challenge? let me know in the comments please. 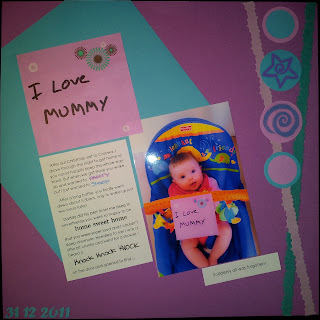 In the meantime back to the old layouts again. Going with the double yay, I'm going to share two pages. 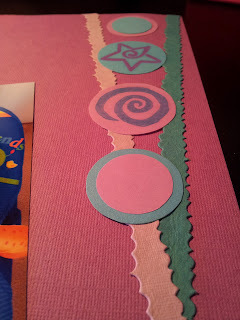 Both feature keepsakes as embellishments but one I like, the other I wish I could re-do. First up is a page that tells the story of myself having a bad day and opening the door to find this looking up at me. 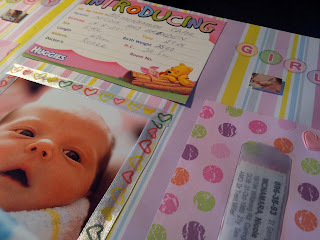 The title is actually the post-it in the picture, I think including the keepsakes in your layout is great. This post-it would have otherwise sat in a draw then evenually got thrown out, but now its here for everyone to see forever. The page is very very simple. I thought the story that went with the picture was just as important as the photo itself, so didn't want to detract from it and tried to kinda force your eyes to read the journalling. With just some simple circles, stamps and punched date in the corner so its not completely bare and page is done. The next page is one of my very first pages which I would have done very different given the time again. 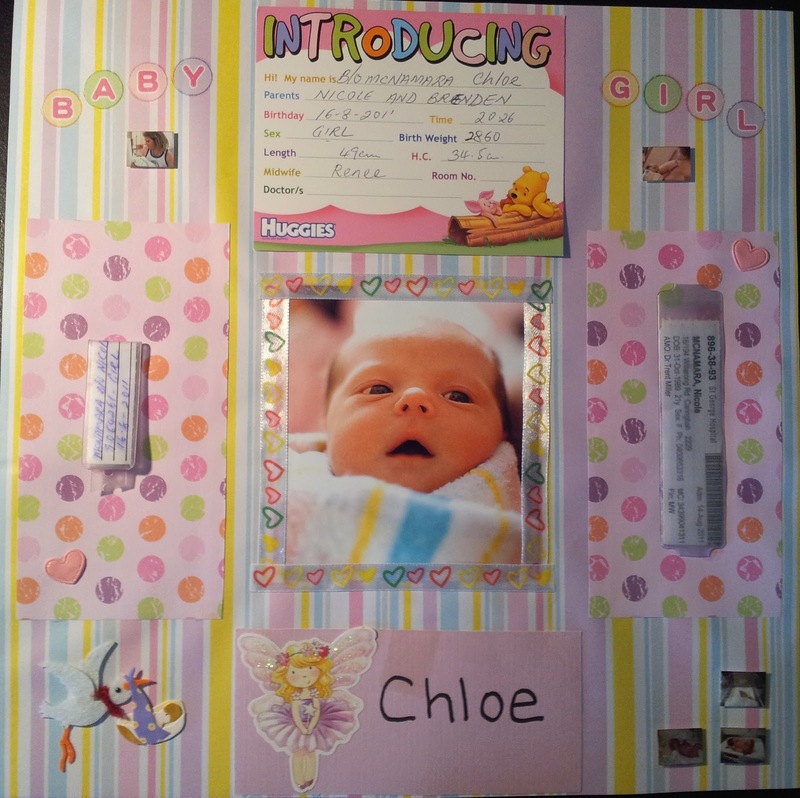 I think this is a great photo of Chloe at just 4 days old, although the page does not do it justice. So like above keepsakes are establishments, 4 of them this time. 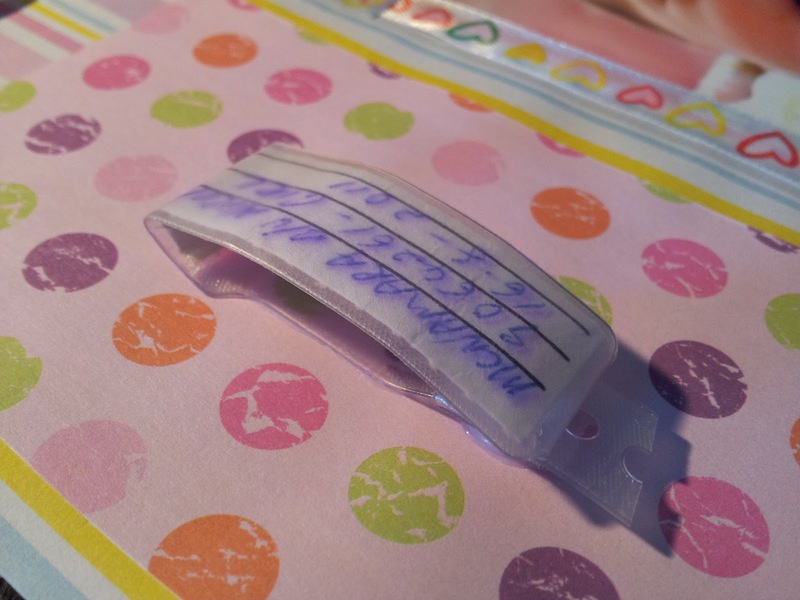 On the left is Chloes hospital wrist band and on the right is mine, while at the top is the info card that is stuck on the babies bed and at the bottom the name card from the special care nursery. Hope uou have a great weekend! See you all Monday. The first one is so simple but so effective. I like the way you have used circle shapes at the side similar to whats on the post it. As for the second page, there are no "ungreat" photos of my beautiful great niece.